Virtual reality is the next digital mountaintop that the video game industry has to reach. Until AAA studios make that climb, however, most of the best free VR games are coming from unknown indie developers. Luckily for gamers, once these indie developers have finished their dreams, places like Amazon serve as host so early adopters of virtual reality have the best free Virtual Reality games available to them. We’ve scoured Amazon’s store to find the best free VR games for Android, Oculus Rift, Google Cardboard, Samsung GR, HTC Vive, and other headsets. The criteria for inclusion were simple: at least 5 individual user reviews, and at least 3 stars or higher in user ratings prove that these are top free VR games. We have ranked the best 5 free VR Games according to reviews and overall quality. Here’s a quick summation of what we consider to be the top five best VR games that you can download for free. Acknowledged as one of the best free HTC Vive games by many avid players, The Lab is a real treat for all ages. 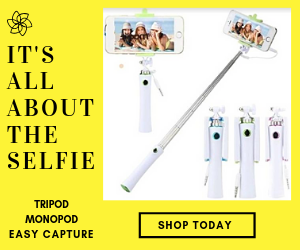 You will have lots of fun exploring faraway, exotic locations or the beauty of the human body, repairing a robot, adopting a mechanical dog or defending a castle. The game has stunning VR visuals, and is both educational and entertaining. As such, it is particularly suited to children, who will have a lot to learn while playing. Definitely, one of the best free Vive games, the Lab is available on Steam. One of the best free VR games, Tuscany VR is more an interactive environmental experience rather than a traditional game. 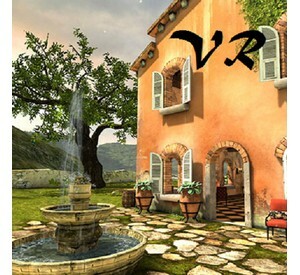 This Virtual Reality game that you can download for free allows the user to walk around a section of digitally-recreated Tuscany. So, with this VR game app, you can view firsthand the beauty that inspires hundreds of thousands to visit the area every year. The VR game does require a compatible controller or gamepad to be connected to the head-mounted display in order to use it. However, at less than 130 MB it is a fantastic experience to be able to explore Tuscany with the turn of your head. One of the top free VR games, Tuscany is compatible with Durovis Dive, Google Cardboard, Cmoar, Freefly, and other HMDs. What other game would allow you to run around and feel like a horse? This free VR experience is continuing to push the boundaries of what a simulation ‘game’ is. Also requiring a Bluetooth gamepad controller to be used, this free VR game is a little bare on the content, but makes up for it by allowing you to run with the horses, feeling as free as your heart allows you to be. 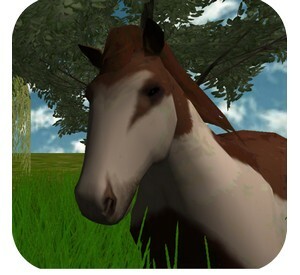 One of the best free VR apps, the Horse is compatible with headsets like Durovis Dive, Google Cardboard, VReye GO, StooksyVR, and Samsung Gear. Make sure that your operating system is at least Android 3.2 before downloading this free VR game. 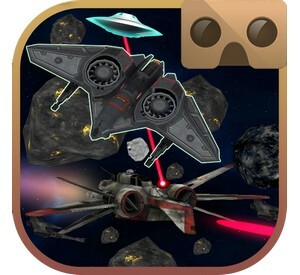 You can also play this game in 3D mode on your smartphone, without a VR headset. 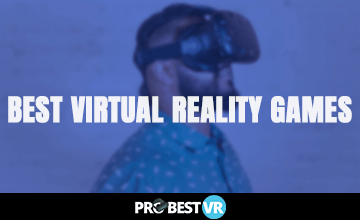 Continuing the trend of interactive experiences in this list of best free VR games, this app allows any and everyone to enjoy the company of precious, digital kittens. Pet your cat, feed your cat, run around with it in a sprawling mountain area. 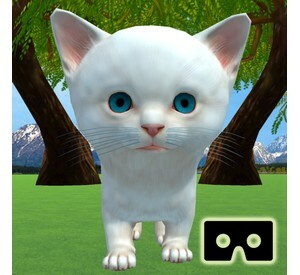 With this cute free VR app, you can enjoy your relaxing play date with a kitten of your choosing without all the horrible parts of owning a cat, like constantly dealing with a litter box and claw marks on your furniture. 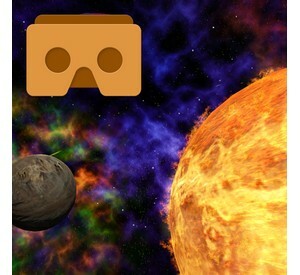 Downloadable for free in less than 5 minutes, this VR app requires at least Android 2.3, and is compatible with Google Cardboard. This top VR free game promises an amazing experience in Virtual and Augmented Reality. 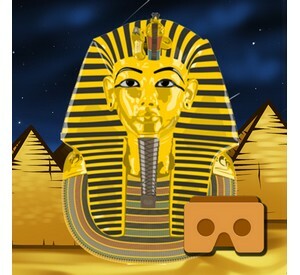 Travel back in time with this interactive, and free VR experience that puts you right in ancient Egypt exploring the ruins and legacy of a society long gone. Featuring original Egyptian-inspired music and a gorgeously detailed landscape, this VR experience creates an immersive atmosphere for you to wander around and get lost in. Watch out for the angry, reanimated mummies! You can download this virtual reality game for free, in less than 4 minutes. 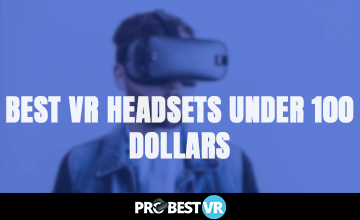 It requires at least Android 4.4, and works best with a VR headset like Google Cardboard, Dodocase VR, Durovis Dive, VRelia GO, Homido, Gear VR. This might be one of the best free VR games available right now. The premise is simple: ride around on a roller coaster simulation in a never-ending city with stunning 3D graphics and realistic sound effects, ranging from noisy crowds to screaming riders. The game also has a rotating selection of dynamic music that won’t let you get bored while satisfying the thrill seeker in you. Claiming to run smoothly on all devices, this VR experience provides never-ending fun with its realistic physics and engaging content. Suitable for all ages, it is one of the best free HTC Vive games. 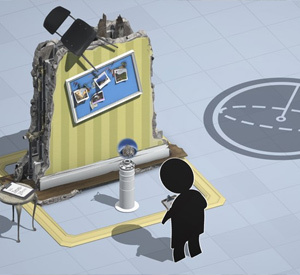 The VR simulation app is also compatible with Oculus Rift, Google Cardboard VR, Carl Zeiss VR one, and other headsets. It requires at least Android 2.3. and the download time may be longer than 5 minutes. 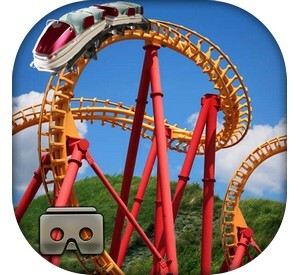 Following upon its predecessor, this free VR game builds upon the popular roller coaster simulation and adds interesting features that were missing before. The free app for Virtual Reality features more unique locations and new additions to the soundtrack that keep the game interesting and appealing. It still includes the amazing physics and realistic sound effects of its predecessor. 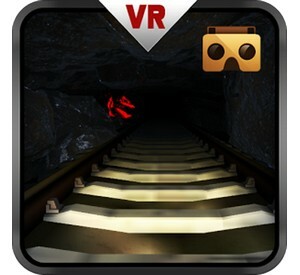 Almost all of the tracks are set in a connected underground mine shaft, in which you travel through via rail cart. All in all, when other roller coaster game simulators lose some of their initial appeal, this free VR game will be here to spark interest in more amazingly-rendered roller coaster simulations. Suitable for all ages, it requires at least Android 2.3, and takes more than 5 minutes to download. This free VR experience has 18 beautifully-crafted mazes to wander through. It’ll take you hours before you’ve reached the end of this VR free game. 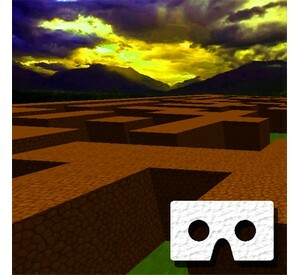 Each of the 18 levels of the maze gets progressively longer and more complex. With the turn of your head you could be on your way to freedom or trapped in the confusion of the maze until you give up and cry for help. This VR app requires at least Android 4.4, and works best with a VR headset (Google Cardboard, Gear VR, Dodocase VR, VRelia GO, Homido). No controller is needed. You can download it for free in less than 3 minutes. This free VR game puts you in the boots of (insert-your-favorite-space-traveler-here) by allowing you to travel through the vastness of the cosmos, and explore the wonders of space. It is clear why this app is one of the most rated VR games in Amazon’s store. Deep Space Exploration allows you to travel through mystical deep space vistas and stunning VR graphics. You can explore sprawling solar systems and go where no one has been before. Featuring a sci-fi inspired soundtrack to keep you company, you could spend hours exploring the cosmos in this excellently crafted and well-received VR experience. 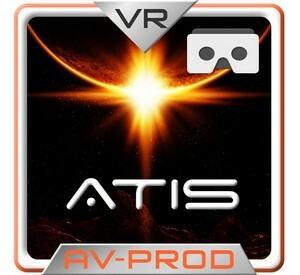 Compatible with Google Cardboard and any other VR glasses, the free VR app requires at least Android 4.4, and takes more than 5 minutes to download. Perhaps the calmness and solitude that comes with deep space exploration isn’t really your thing. Maybe you’d rather be strapped into a cockpit and thrust into the middle of some intergalactic dogfights against alien invaders and rogue space pirates! If so, then you’d probably want to check out this fantastically developed space-dog fighting simulator. Immersive, engaging, beautifully-rendered, it’s no wonder this game is among the top best free VR games on Amazon. Requiring Android 4.0 + and Google Cardboard glasses (or similar), the VR Space UFO can be downloaded for free in less than 5 minutes. If you’re willing to spend a few bucks for a great game, please check out our list of the best VR games! Delivering one of the highest rated VR games available on Amazon, A Time in Space VR provides you with a trip through the vast reaches of space that will be as memorable as any anything else you’ve experienced in virtual reality! Bringing breathtaking visuals and an immersive score that evokes the incredibly solitary feeling of traveling in a small craft through the infinite expanse of space, there’s no better free experience available on VR according to the user reviews that praise this game. Totally free and with no ads, the VR game requires at least Android 4.1, and takes more than 5 minutes to download. So there you have it—our list of the best free VR game experiences that are available for download on Amazon’s website. If you have any thoughts or comments about our selections, or have your own opinions about the best free VR games, then please feel free to share those thoughts with us. 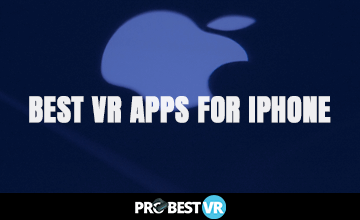 Also, if you download any of these top free VR games apps, be sure to give them a rating and review in the comments below!